The daily shuttle bus service between Imphal and Jiribam in Manipur resumed on Wednesday after a gap of 11 long years. State transport commissioner, L Lakshmikumar Singh, officially flagging off the first bus to Jiribam from Inter State Bus Terminal, Imphal on Wednesday. Briefing the media after flag-off, the commissioner said re-launching the bus services between Imphal and Jiribam after a long gap will not only improve the connectivity between Jiribam and Imphal but reassure the people of the newly created district of the commitment of the present Government. Lauding the transporters, Imphal-Silchar Road Bus Owners’ Welfare Union and United Bus Owner’s Welfare Association, for taking up the initiative, Singh said the bus service would substantially help in bringing development to the district. Manipur State Transport department’s main objective is to provide connectivity to every nook and corner of the State, he said, adding that irrespective of private or government, the department would support such noble initiatives. The bus services stopped plying along the Imphal-Jiribam road since 2006 due to the deplorable condition of the road. However, with Jiribam having upgraded to full-fledged district, it has become necessary to improve connectivity to the district besides connecting all the districts and remote places with the State capital. A total of eight buses will be pressed into service initially along the route at hourly interval, starting from 6 am to 9 am. There will be two stoppages – Wangheng Leikai and another at Baba Fish Centre. 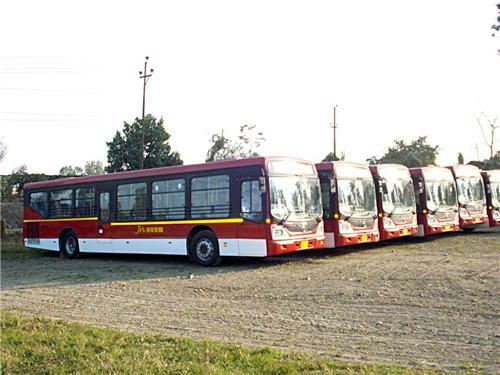 The transporters are also going to launch bus services between Imphal and Khoupum soon.